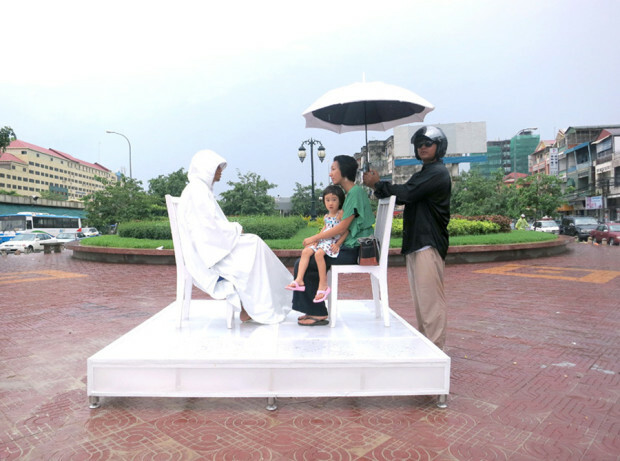 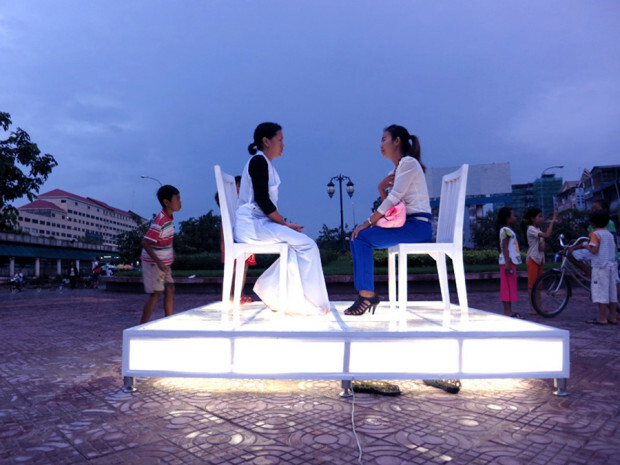 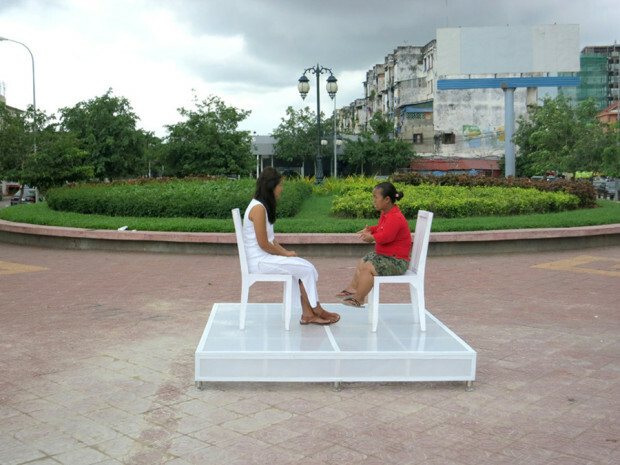 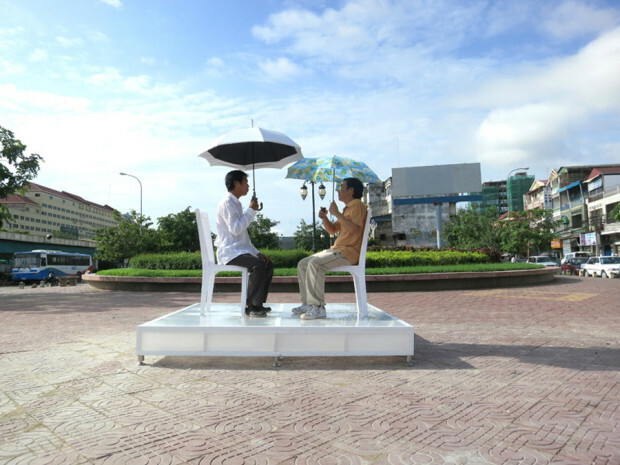 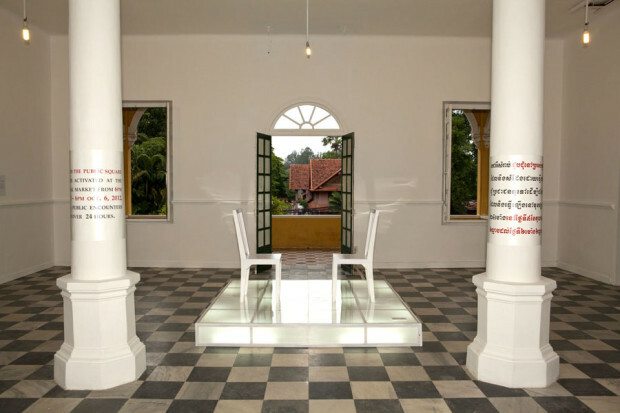 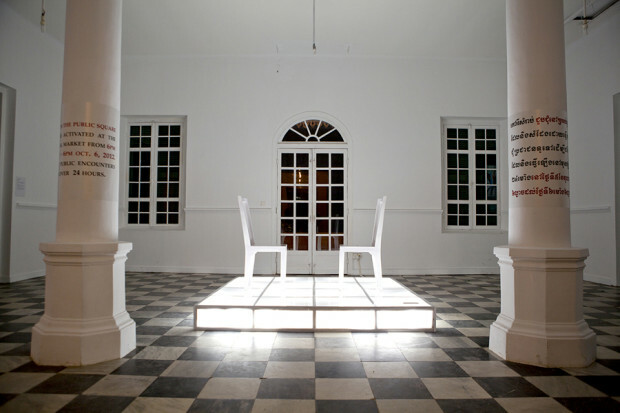 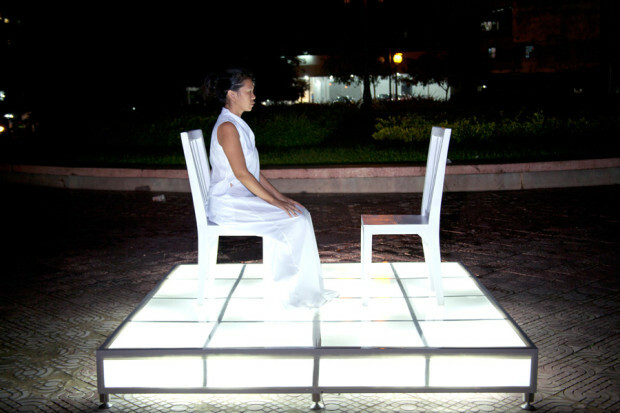 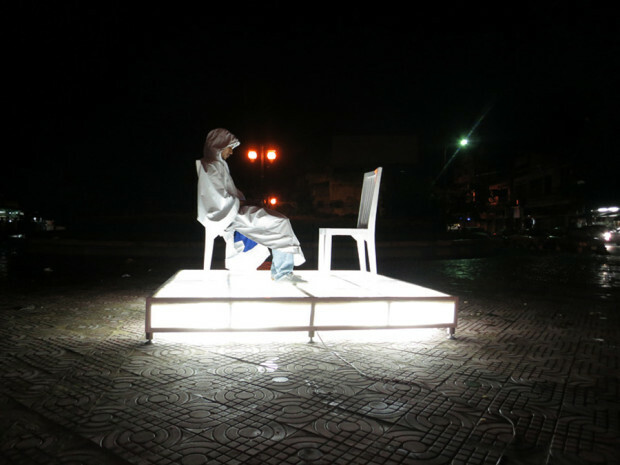 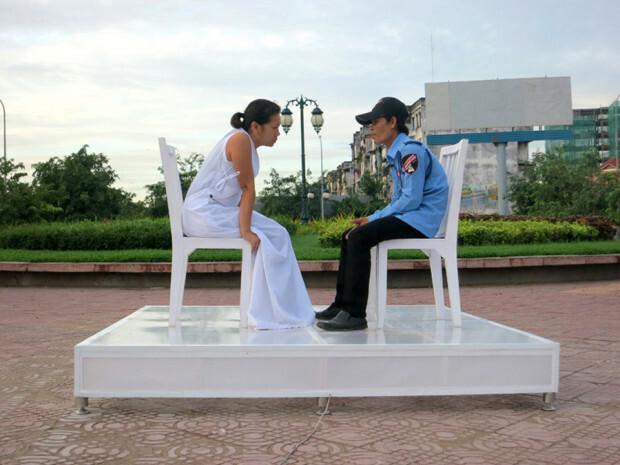 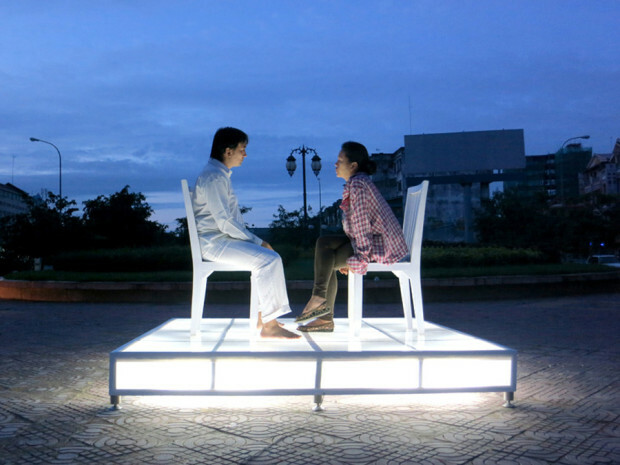 The Public Square, by Anida Yoeu Ali and Studio Revolt, is a 24-hour durational performance and installation work creating a highly visible designated space that allows for the denizens of Phnom Penh to engage in private conversations with people in the arts community. 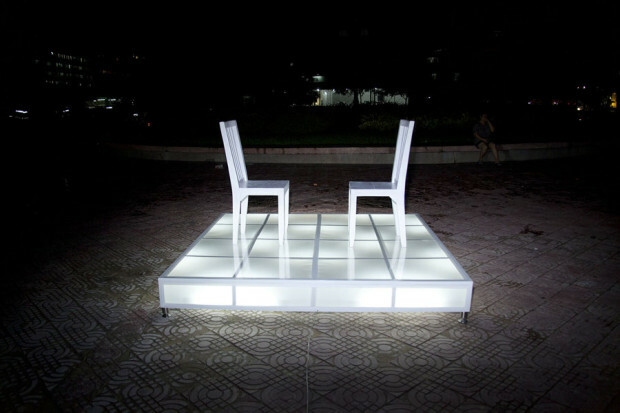 In most urban societies, the public square is a designated open space for social, cultural and political interactions. 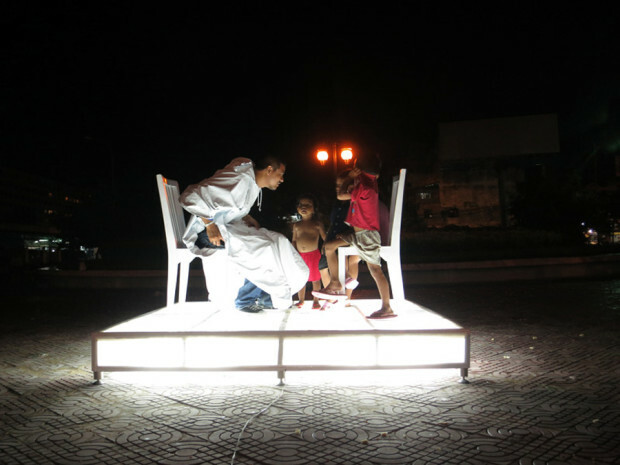 Examples of famous public squares include the Zocalo, Tiannamen, Trafalgar and Times Square. 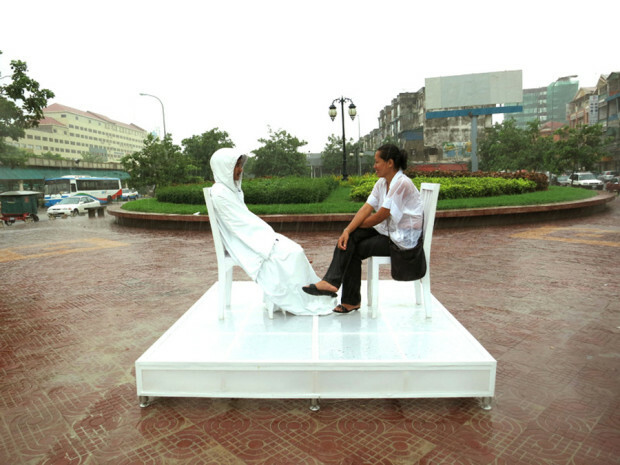 People gather in the public square to discuss current affairs, debate issues and share ideas. 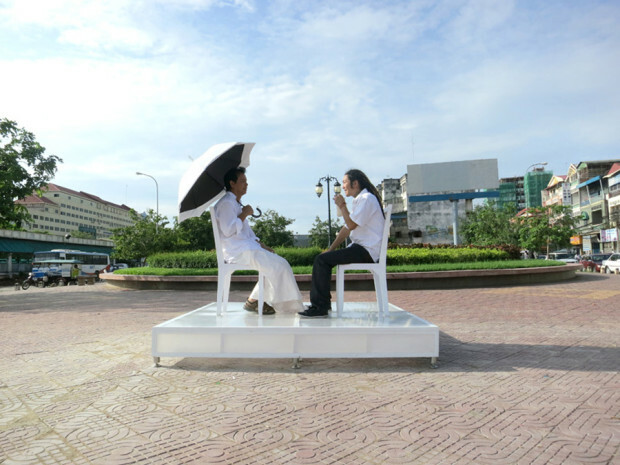 Theaters, restaurants, markets and museums are further extensions of the public square. 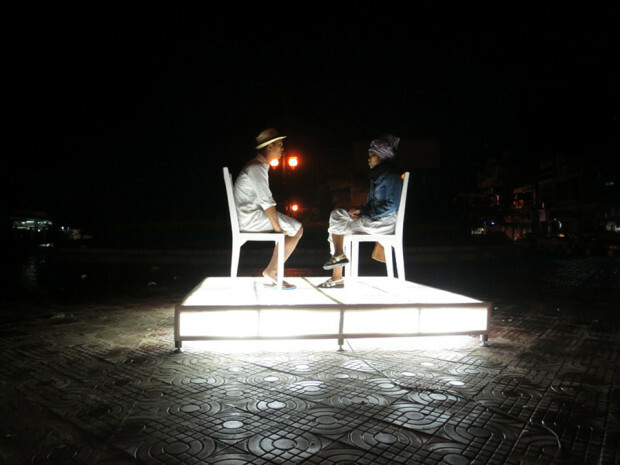 “The Public Square” project continues the artist’s interest in a participatory model of artmaking. 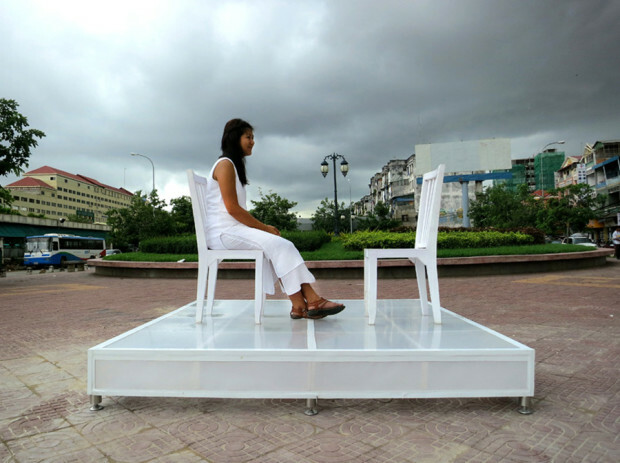 It furthers her interest in both challenging and playing with the aesthetics of the “white cube,” expanding the discourse of contemporary artmaking and artviewing into the public sphere. 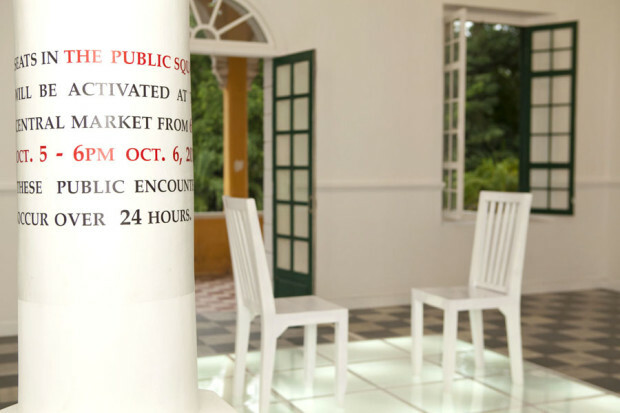 It allows for everyday people to engage in a process often denied to them within elitist cultural institutions.